Since its launch in 2007, Dividend Growth Stocks and predecessor sites have been a leading provider of relevant information for dividend investors. I am proud of the wealth of information made available free of charge to my readers. On July 9, 2009, we began offering some premium content for serious dividend investors. It is my intention not to alter the free information currently provided, but to supplement it with some premium content. "You See What I See"
For each stock that I track, I gather a significant amount of information - currently about 500 cells per stock. With 200+ securities tracked, this is just too much information to quickly and efficiently digest. 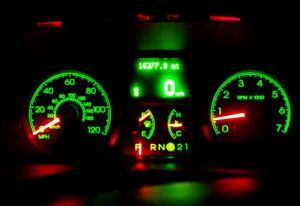 So I developed a color coded dashboard that allows me to quickly absorb the information. In addition to price valuation described above, the other four components of the Star ratings are shown: Debt to Total Capital (Debt); Free Cash Flow Payout (FCF); Target (Target) and actual NPV MMA Diff. Color codes indicate a change in Stars from the prior week. An increase in Stars will show as green, a decrease will show as red and no change will continue show as white. When the stock's symbol is listed in the Buy column, it is the same as the green shading in column one, meaning my model has flagged it as a buy. An "x" means it is not a buy, while a "-" means it would have been a buy except for the "Note". The Note column is used to override a buy recommendation. Things sometimes happen quickly. Flat means the stock failed to raise its dividend; Debt means the stock is well outside my debt tolerance, a date means I have recently purchased it and it is not eligible to be purchased again until the noted month. A Debt/fcf flag in this column is an alert when the sum of the Debt and FCF columns are > 100% or FCF is a negative number. I am often asked how much of a stock do I own. The % Port and % Inc columns shows the stock as a percent of my income portfolio based on market value and annual income, respectively. The Updated column shows when the financials were last updated. Companies normally update their financials quarterly. The blue shading means my financial database for this company has been updated within the last 7 days. Market data such as price and yield are updated weekly. Reviewed is the last time I posted a full review of the stock on Dividends Growth Stocks. Green shading means it has been six months since the last review and is eligible for another review. Days are how many days since the last review for certain stocks. When a stock is noted as On The Shelf due to not raising their dividends, this column displays estimated month and year when the dividend declaration will occur that ensures a year over year flat dividend. Finally, RQ, Risk and Risk # show the risk rating of the stock. The dashboard also includes my thoughts for the week, stats on the stocks in the database and planned buys and sells. Why do I need D4L-Dashboard? Even though I provide free detailed stock analysis on many dividend companies, the amount of preparation needed limits me to one or two analysis per week and I won't review that company again for at least six months. As we have all learned, things change quickly in the market. A strong stock three weeks ago may not still be a strong stock today. Each week I will update several stocks, along with my commentary and freshen the market data, then post the PDFs to a secure area and email subscribers a link to access the information. My goal is to have it available by Sunday morning. Also, before I buy a company or publish a review of it, I will update its Analytical Report. Good companies are not always good buys. Sometimes things change. These updated analytical reports are available as premium content with new ones posted each weekend for subscribers. This link to a Sample Analytical Report will let you see the wealth of information available. Premium Content Updated: Whenever premium content is updated, an alert is sent to the group. Income Portfolio Buy or Sell: Whenever I make a buy or sell in my income portfolio, an alert is sent with information on the trade. Income Portfolio News: An alert is sent whenever I come across relevant and timely information. D4L-Data is an Open Office spreadsheet containing a significant amount of data on each of the dividend stocks that I track. The data is sortable and has built-in buttons and macros to make it easy to use. This spreadsheet requires Open Office or Libre Office, which is available for multiple platforms (Windows, Linux, Mac, Solaris, etc.) and in multiple languages. Click here to download a FREE copy of Open Office or here to download a FREE copy of Libre Office. The D4L-Data spreadsheet has more than 20 columns of information on the 200+ companies that I track. This link to a Sample D4L-Data Spreadsheet will let you see the wealth of information available. Note that the sample spreadsheet is limited to 30 companies. Some of the information included is: Yield, Div Growth Rate, Buy Price, Prem./ (Disc. ), Stars, Debt To Tot. Cap., FCF Payout, NPV MMA Diff., Years of Div Grow, P/E, Risk Rating, and much more. The D4L-Data spreadsheet is perfect for the times you want to sort data differently than what is available in the D4L-Dashboard and/or you want to screen the dividend stocks based on your unique criteria. D4L-Newsletter is a premium feature providing subscribers a quick overview for the upcoming month. It is published monthly with key summary information from D4L Dashboard, such as the stocks I plan to buy in the upcoming month and high-rated stocks you might want to consider. It will also include other items that you might find interesting or useful such as the Premium Links, statistical information and other commentary. This link to a Sample D4L-Newsletter will let you see the information available allow you to determine if it is something that would be useful when looking for dividend stocks to buy. One of the most often asked questions is, 'How well has your portfolio performed over the years?' 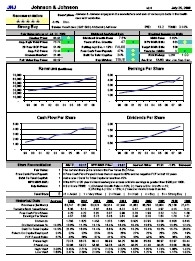 Below is a performance chart and underlying data back to 2008 when I started publicly tracking my Dividend Growth Portfolio. The chart graphs my Dividend Growth Portfolio and the S&P 500 (VFINX). The value column is a hypothetical $100 investment in each at the market's close on 12/31/2007, or whenever the portfolio was started. The investment grows at the performance rate each year. The calculated return was based on all dividends reinvested in the portfolio (not necessarily in the security that generated them). As with all investments, past performance is no guarantee of future results. I have been one of your subscribers for about two or so years and it’s been a very rewarding experience. I wanted you to know that I appreciate all the work you put into your shared resources. Your dashboards are an invaluable source of information to me and the first place I go to when starting my own research for a purchase or to add to something I already own. I've been reading your articles for some time, and started subscribing to your Premium Content nearly a year ago. Your website and articles have really refreshed my belief in the stock market as a source of income. Thank you for your excellent work. Your monthly subscription is way too cheap. I just want to thank you once again for sharing all of your information with us. It has made such a difference in my investing, and I feel much more confident in my choices, and confident that I will have a good portfolio to retire on. Thank you!! I have been a subscriber for a couple of months now and much appreciate your service. The Dashboard is a fantastic tool! You've done an excellent job of distilling data into a very usable format. Have been a long term subscriber since the beginning and I do refer to your data weekly when making dividend-related stock choices. I would like to say that I am a recent new subscriber. I appreciate the vastness of the info that you supply. It is extremely helpful. Thank you. I promise not to harass you too much with investing questions but it's hard not to given how much I admire your investing philosophy. I recently subscribed and have been extremely happy. This is one of the best resources I have found anywhere. Thank you! I continue to learn from you every day and am making fewer mistakes all the time. Thanks. The quantitative information you provide and the discipline you exhibit is much more helpful to me than the sites and services which say blah-blah-blah and toss out a few numbers to support their positions. All subscriptions are handled through PayPal - the internet's leading secure money transfer company. Once you subscribe, I will email you a link the most recent reports and add you to the mailing list. PayPal will automatically charge you each month (or year) until you cancel - With PayPal, your price is locked in until you cancel! There is nothing left to do but read the disclaimer and click below to start your subscription! Important: If your PayPal email is no longer valid, please contact me and provide your new email address, otherwise I will not be able to send your information. Both subscriptions automatically renew at the same price until canceled. If at some point you decide the D4L-Premium Services are no longer meeting your needs, you can cancel your PayPal subscription by clicking the button below before your renewal date. If you have problems with the service or have questions or comments, you may contact me by email via my contact page. Information presented in the D4L-Premium Services, including the Star ratings, is mechanically calculated and is based on historical information. The analysis assumes the stock will perform in the future as it has in the past. This is generally never true. I am not a licensed financial adviser and no information provided should ever be construed as investment advice. It is for educational and informational purposes only. Before buying or selling a security, you should do your own research and reach your own conclusion. Reliance on this information is at the sole risk of the reader. This Copyrighted © material is for the sole use of the individual who purchased it. Redistribution is strictly prohibited. By subscribing to the list, you are acknowledging your agreement with the disclaimer. D4L-DASHBOARD AND ALL PREMIUM CONTENT (CONTENT) IS PROVIDED "AS IS", WITHOUT WARRANTY OF ANY KIND, EXPRESS OR IMPLIED. ALL WARRANTIES AND CONDITIONS ARE DISCLAIMED WITH REGARD TO THE CONTENT, INCLUDING BUT NOT LIMITED TO THE WARRANTIES OF MERCHANTABILITY, IS FREE OF ERRORS, FITNESS FOR A PARTICULAR PURPOSE AND NON-INFRINGEMENT. THE ENTIRE RISK AS TO THE QUALITY AND PERFORMANCE OF THE CONTENT, AND ANY MARKET LOSS INCURRED, IS WITH YOU. IN NO EVENT SHALL THE AUTHOR, DIVIDENDS4LIFE, BE LIABLE FOR ANY CLAIM, DAMAGES, MARKET LOSS OR OTHER LIABILITY, WHETHER IN AN ACTION OF CONTRACT, TORT OR OTHERWISE, ARISING FROM, OUT OF OR IN CONNECTION WITH THE CONTENT OR THE USE OR OTHER DEALINGS IN THE CONTENT.